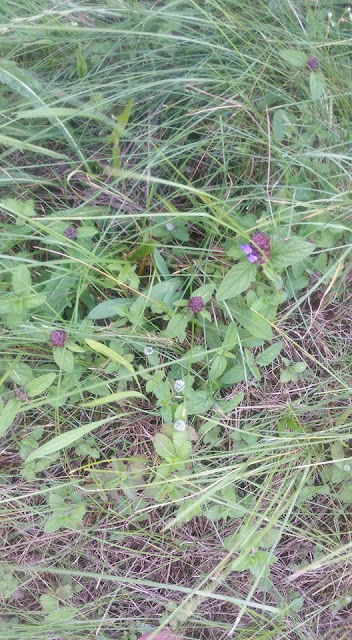 Foraging Wild Edibles in Poland- With Lots of Pictures! Having never stepped foot in Poland before, I assumed that going there, I might recognize one or two different edible plants, and maybe do a drop of foraging. I was not expecting to recognize most of the plants there, with them being things I regularly forage locally, or plants I'm familiar with even if I didn't forage them myself. Here's just some of the many, many, many edible plants I saw in Poland. I saw the vast majority of them the the first day in Poland, in the Jastkow village in the countryside outside Lublin, but saw very many wild edibles in the city of Lublin, proper, as well as in Warsaw. When I first was being driven from the airport to the rural airbnb where I was staying at, at around 3 in the morning, I saw these giant leaves growing all along the sides of the country road. I couldn't identify them 100% because it was dark and the speed in which we were driving, but I saw that it was absolutely the most common plant I could find in the countryside. 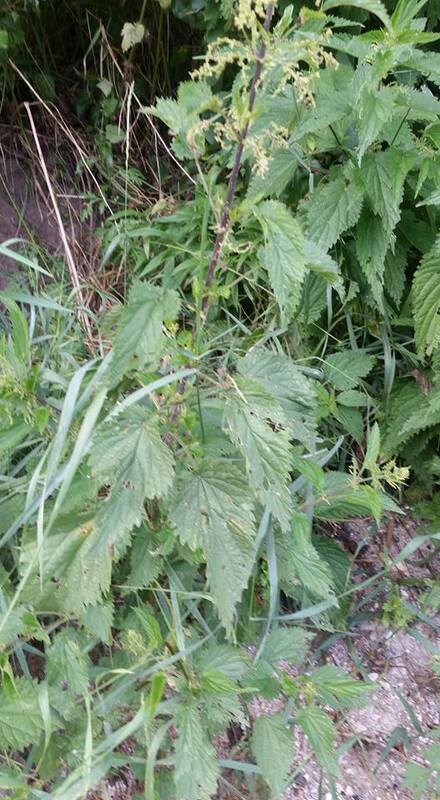 I suspected it was a type of dock/sorrel/rumex species, but decided to check it out better in the morning. When I had a chance to walk and bike through the country side, I took a better look at this plant and saw that it was not dock, but rather horseradish! No, these lambsquarters weren't photographed in Poland but at home. It looks like I forgot to photograph lambsquarters there. But they looked exactly the same as our local one and were growing everywhere too. Plantain was growing all over as well. 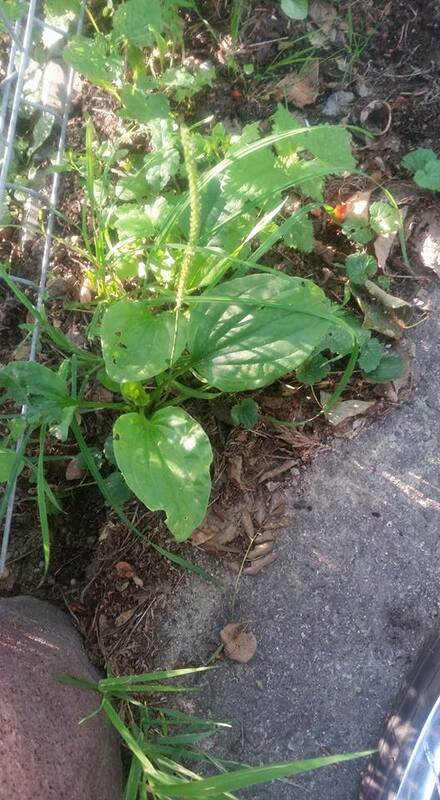 I saw two types- most of them were this rounded plantain, that I was familiar with from the US, but I saw a few with longer, thinner, pointier leaves, the same as we have locally. I saw a lot of dock, though they weren't the plants I originally saw in the middle of the night. 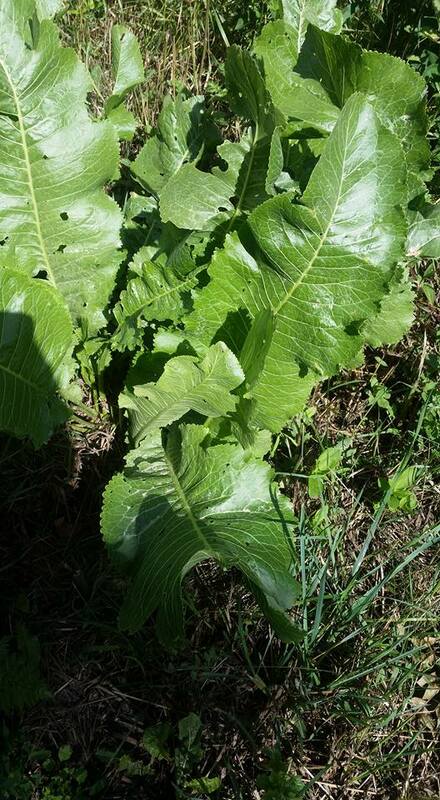 I'm not exactly sure which species this is, maybe curly dock? I also saw (but didn't photograph) sheep sorrel. Nettles grew all over the country side, and near it was a lot of deadnettle, which isn't in the nettle family, has similar shaped leaves, but is actually in the mint family, with non stinging leaves and a square stem. Speaking of the mint family, I saw creeping charlie or ground ivy for the first time that I know of. 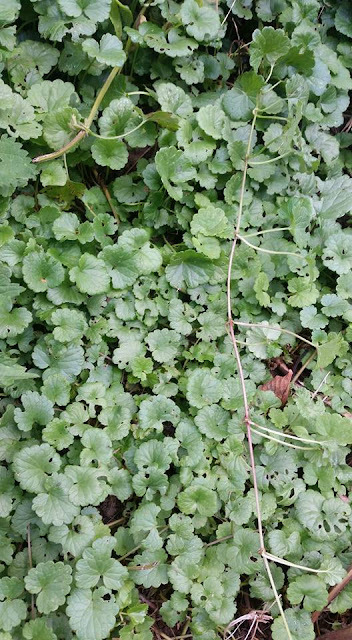 It's also in the mint family, looks a lot like mallow or garlic mustard... I tasted it, didn't particularly like it, so didn't forage it. 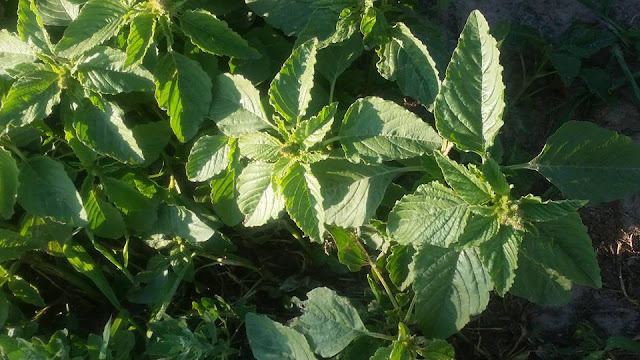 I saw this other member of the mint family, square stem, leaves growing in pairs, flowers unique to the mint family, and even the leaves looked like peppermint, but it wasn't spicy or minty at all, more bitter, so I don't know which mint it is, but do know that it is edible. I was pleasantly surprised to see it growing all over the countryside in Poland. 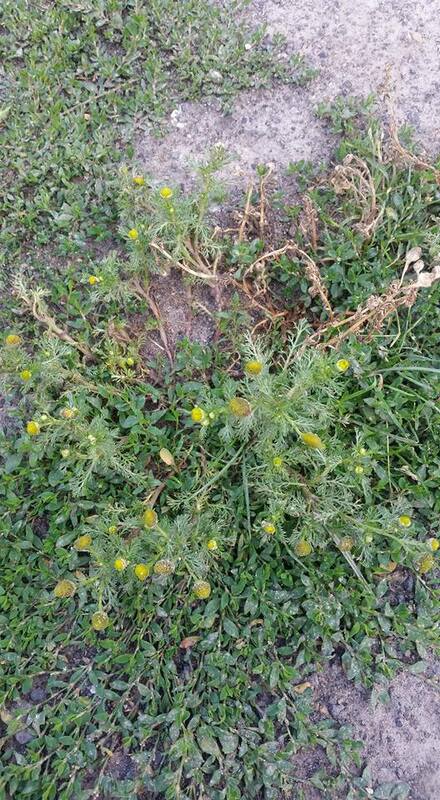 I brought home some, because... pineappleweed. Dandelion was growing all over as well. I didn't forage any, because it takes more work to make it palatable and I didn't want to work hard to prep my food on vacation. I saw daylillies which have edible flowers and other parts (not so sure which other parts since it doesn't grow wild here), but I am not sure they were wild- they might have been cultivated. 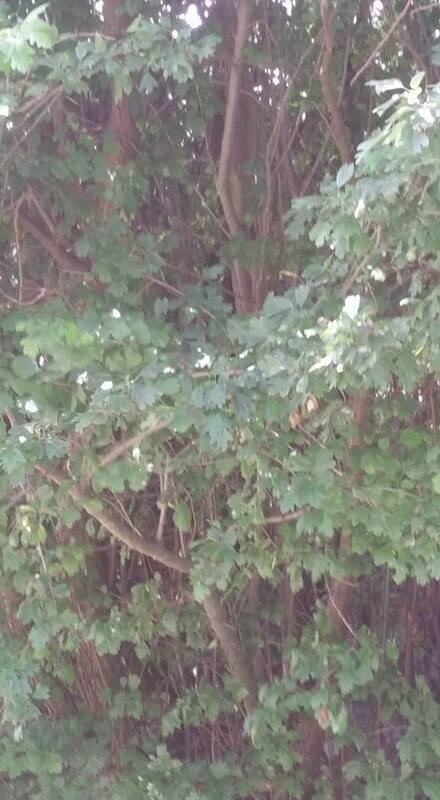 I also saw lots of hollyhocks, again, not sure if wild or cultivated. 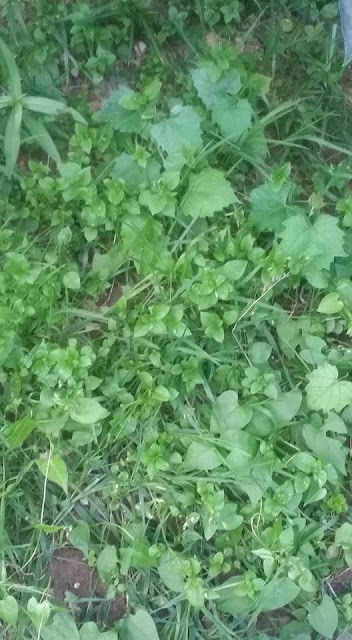 I foraged and ate a decent amount of chickweed, just straight out of the fields. 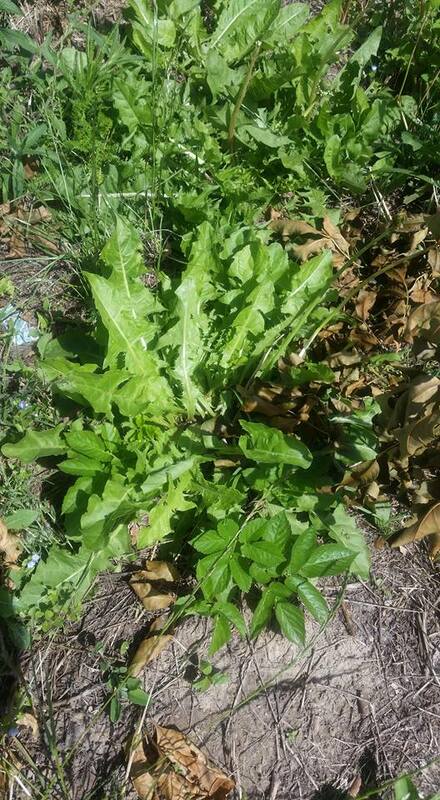 I saw sow thistle and lots and lots of wild lettuce, neither of which I foraged. 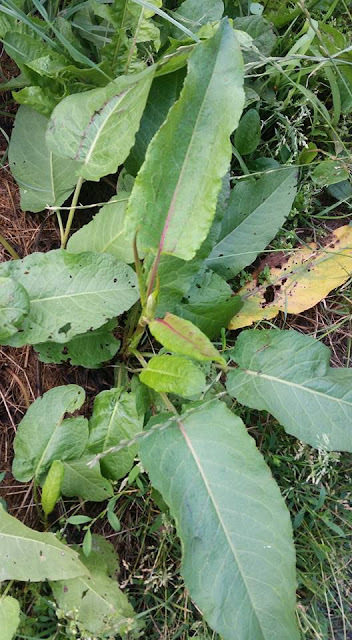 I saw a plant that looked familiar, but wasn't something I knew... turns out its burdock, a wild edible.. There was lots of amaranth growing all over, just a different variety than what I usually see locally. 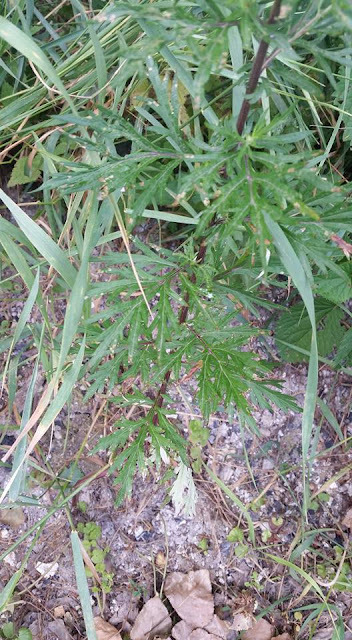 Turns out that this plant, which I saw all over, looked familiar, but not 100%, is mugwort, something I know my friend Pascale Bauder uses as the base for lots of his wild beers. I saw large amounts of wild chicory. I saw a decent amount of shepherds purse as well as some other types of wild mustard whose names I don't know. I thought I saw a sumac tree, but didn't get a close look. But it turns out sumac does grow in Poland. Mallow might be one of the most commonly foraged plants all over the world, but I only spotted it on my last day in Poland. I really found it fascinating how many of my local plants grow in Poland as well, how many plants grow all over the world. 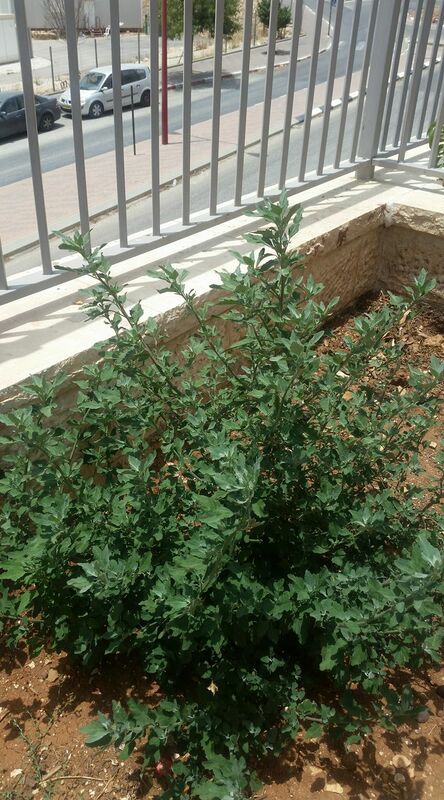 It actually gave me a very large boost of confidence, going to a country in which I'd never stepped foot in beforehand, and being able to identify so many different types of wild edible plants, because it made me realize that this skill that I have really is useful worldwide, and not just in my country or the US. I actually tried to do some research about Polish edible wild plants before I arrived but didn't find much information out there, so hopefully this post can be a resource for people traveling to Poland or the general area, or who live there, and want to forage. 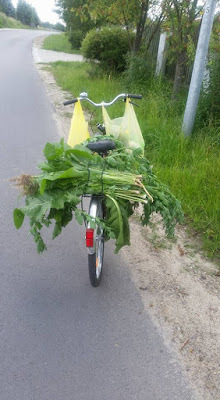 Poland is perfect for foraging! At least in the summer... Come winter and it's all covered in snow! Which of the plants that I found in Poland do you have growing where you live? Have you foraged any of them? If you're a forager and have gone to a new country or new location far from home, what percentage of the plants that you saw there did you know? Great to know. What parts of europe are you familiar with? The Plant you thought was in the mint family but tasted bitter looks like prunella also know as 'heal all'. 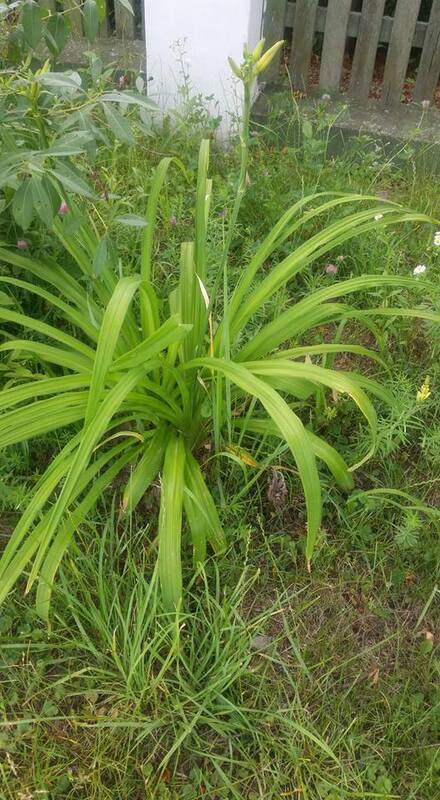 it's a common european plant and often found in gardens and lawns. not used for food but does has medicinal properties hence the nick name. Thank you! I appreciate it. Always like to learn more. It's really not that scary! As long as you learn how to tell them apart from poisonous look alikes. Which isn't a big deal. Fun! Yes, when I travel I enjoy seeing how many plants growing are similar to those where I live and what's new. Pinappleweed grew in the driveway at my farm! 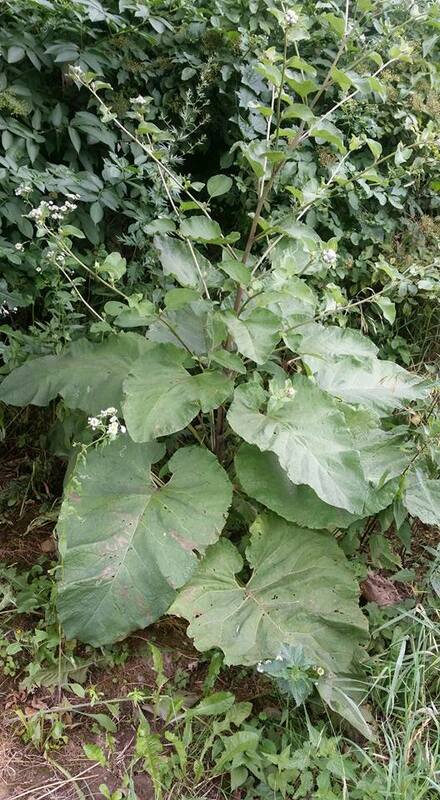 Burdock has edible roots but I've never eaten them; its everywhere in my locale. Glad you're enjoying the trip. Glad your having a great time on your vacation. I'm already home, I'm just taking some time to finish writing up about it. Thank you! I'm glad you are writing up the Poland trip. I'm 1/2 Polish (American) and have been considering going to Poland one day.